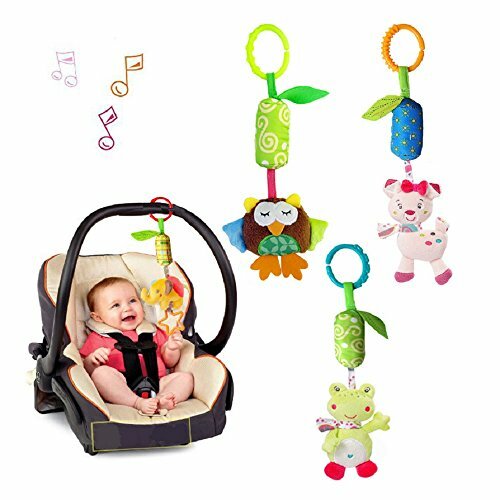  TAKE THE FUN WITH BABY: Stroller toy with a balance between bright color,cute animal,high contrast patterns and rattle sound that help stimulate baby’s abilities.Baby can learn colors name and animal while playing. 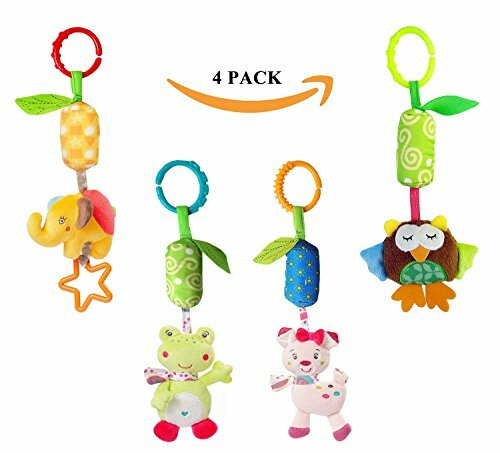 They will happy to play with this cute friends. 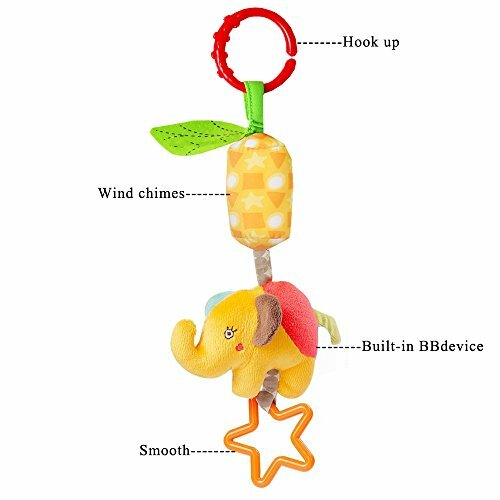  SAFETY FRIENDLY MATERIAL: Toys with safety and non-toxic material,no harm for babies. 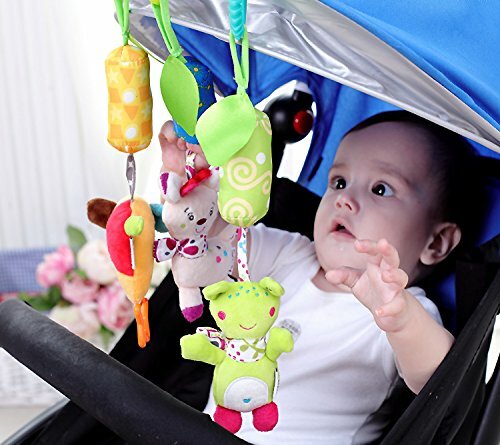 You can hang it around bed or car seat with the clasp, very easy to hang or take down.Also allows the baby holding a toy to play,training baby’s hand-eyes coordination.